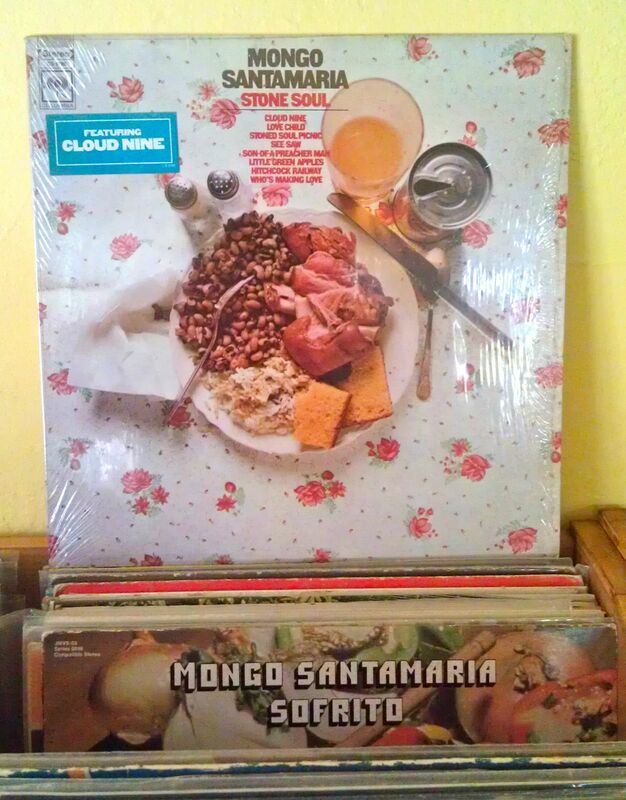 Apologies to Franz if you had something ready to post, there’s just no way I can let Papicultor blast Mongo Santamaría’s Sofrito without following it up with Mongo’s 1969 release Stone Soul. For one, the cover is just as mouth watering. But then after watching Smokestack’s Forever We Rock B-Boy crewmate Whacko‘s insane footwork, I can’t resist dropping the needle on Mongo’s rendition of Cloud Nine. He actually played congas on the original version by The Temptations, so here you get to listen to Mongo along side legendary session musicians Bernard Purdie, Art Kaplan, and Hubert Laws as they completely let loose with an amazing blend of Funk and Afro-Cuban rumba. Without a doubt they created a certified B-Boy anthem. I haven’t break danced since I was 10, but every time I hear this song I get that itch to try it again. As always, I’m looking forward to hear what my fellow pelanguero djs are going to throw on next. I can’t agree with Pozole more! Within Pelanga’s broad musical range you’ll definitely find several common themes: soulful rhythms meant to uplift your spirit and make your body move. Whether it’s a hyphy Papicultor cumbia remix or a choice kompa selection from Pozole, you’re guaranteed to learn something new with each record and party while you’re at it! Because we each have our own musical inluences we constantly inspire each other to dig a little deeper. In fact, last month I wasn’t able to make it out and I hear Tunda played some James Brown and ESG. Who knows, maybe I’ll play a little Little Joe y La Familia at the next Pelanga! In the meantime check out Necessary Whackness – the full 50min afro-latin-funk-rock mix that features this monster latin-funk tune “Recognize Me”. The mix, released just earlier this week, is a collaboration with my friend and Forever We Rock crewmate, B-boy Whacko. You might be wondering about his name? Well basically dude goes whacko when his jam drops! See what I mean (check the toprock battle clip below)? This is probably one of my favorite latin-rock songs ever – some true message music! Little Joe’s production defines the DIY concept of the hard working independent Chicano musician – on down to the hand drawn cover (I’m guessing by a close friend or relative?). 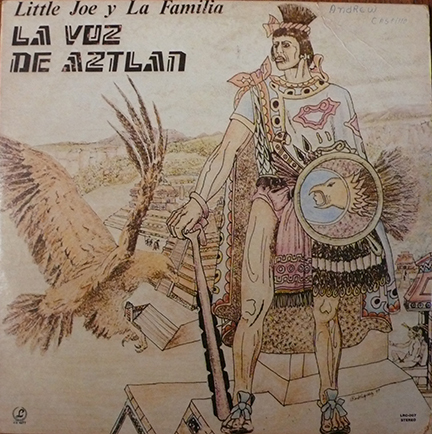 Of his ridiculously deep catalogue La Voz De Aztlan is one of Little Joe’s harder to find LPs. While “Recognize Me” is heavy funk fit for any breakin cipher, the rest of the album is made up of polkas, rancheras, and even a salsa track. Make no mistake, Little Joe plays it all…earning Grammies and playing/recording every style you can think of since the 60’s. From the dusty hills of Tejas, to the smoggy barrios de Califas, to the steel mills of Gary and Pittsburgh, to the snow covered mountains of Denver, La Musica lives. La Musica is listened to, lived to, danced to, and low rided to …La musica Chicana comes from EL CORAZON Y LA ALMA. LA VOZ DE AZTLAN is a portrait of love, energy, and identity.